In just under 3 weeks, the forum has yielded some remarkable epigraphy. As well as the first piece discovered in the initial devegetation, as described on the finds page, quite a number of new discoveries have been found. Therefore, we felt they warranted their own section on the blog as some have been rather special. 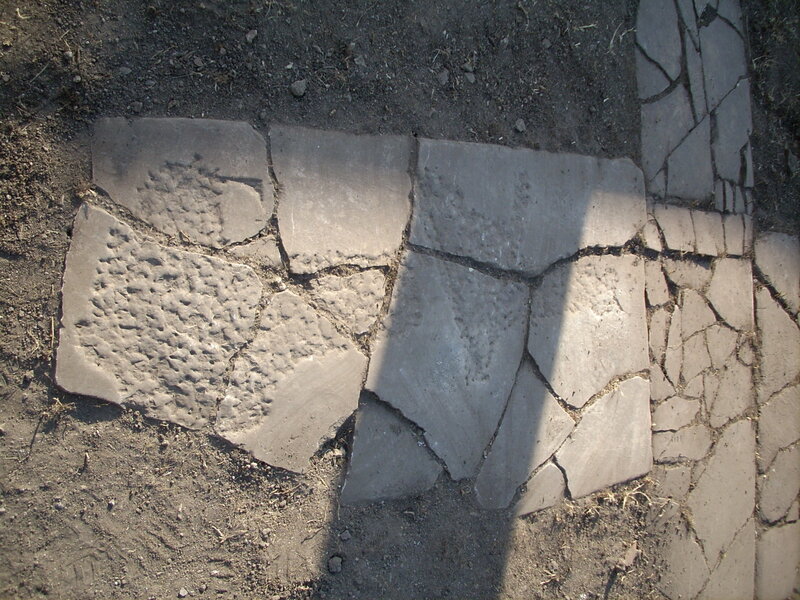 During cleaning of the cistern edge, imprints of inscriptions were found in the original Roman cement. These were created by the laying of a reused block bearing an inscription upside down in cement as to create a marble floor for the forum. Therefore, the blank side of the marble was face up and used as a walking surface, where as the inscription was hidden, but as it was pressed into the cememt, left an imprint. Although the blocks themsleves no longer remain in situ as they have been robbed and reused elsewhere, the inscriptions they bore remain preserved, in reverse, for us to see today. The wall adjacent to the exedra and bakery contain many blocks of spolia. The most interesting one as far as epigraphy goes is the corner block nearest to the baths. Reused in late antiquity as a column base, one can see the bottoms of huge letters (bottom left corner on photo) as well as an inscription border on the top face of the block. Another one was found on the forum floor, this time the letter (possibly an A) had been removed by chisel in order to create a flat walking surface. 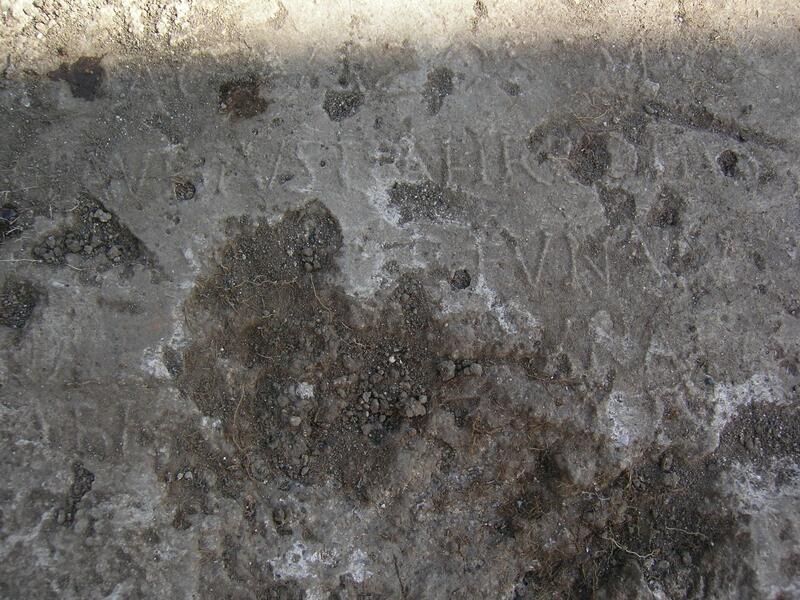 Another piece of a marble inscription has been found in the fill/destruction layer, this time in the facade area.